Set top & bottom tensions separately. 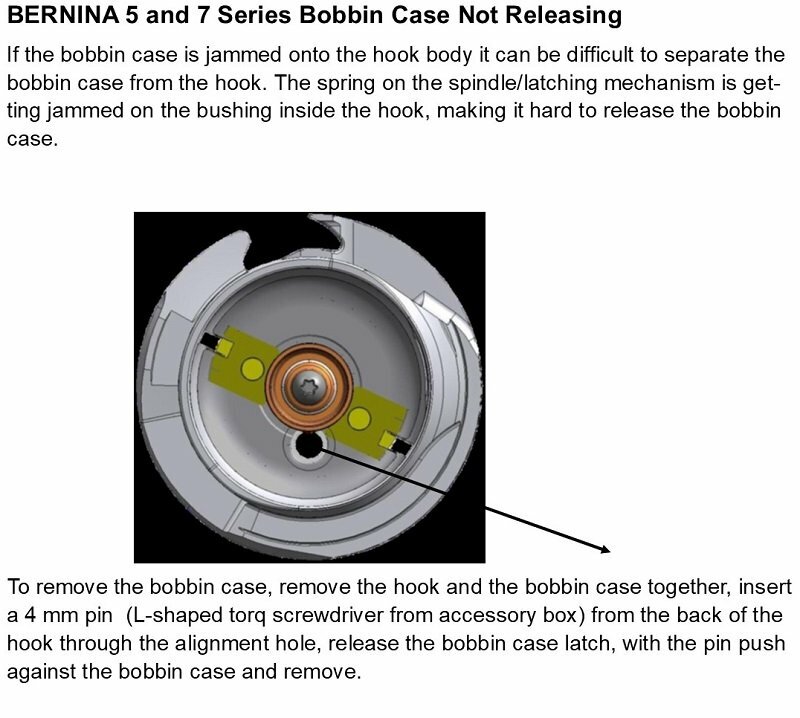 Remove bobbin & make sure when you hold the bobbin case in your hand, the bobbin goes around clockwise when you pull the thread. Clean bobbin case & hook area of the machine & oil. Sewing machine out of time. Change type of needle, ie ball point, metallic, quilting etc. Take machine in for service, ask to have hook needle clearance, timing and needle bar height checked. Damaged or poor quality thread. Should I stand my thread up or should it lay sideways?????? Click here to find out.